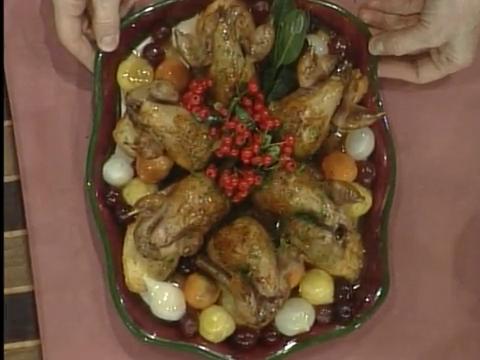 Throughout the month of December, the LDMA is highlighting Holiday Cooking in Louisiana. 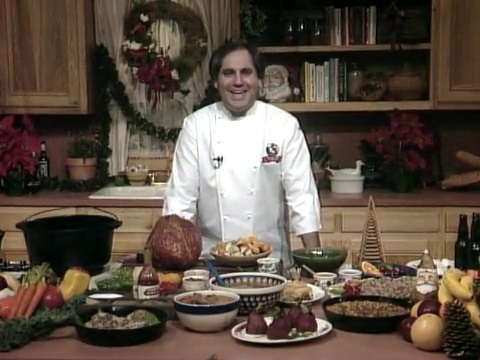 See Chef John Folse’s five Christmas specials and start planning your own holiday feast. 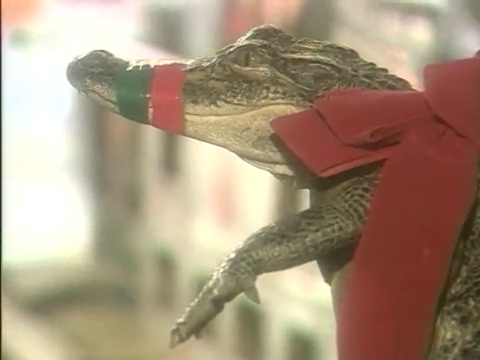 You can also travel around Louisiana with Ms. Lucy to celebrate a traditional Cajun Christmas. See Chef Folse cook a Cajun Glazed Ham, Christmas Roast Goose with Pecan Rice Dressing, Oyster Stew in Patty Shells, Cajun Sweet Potatoes, and Poached Pears. He also prepares a dessert of Floating Islands with his father, Roy Folse. 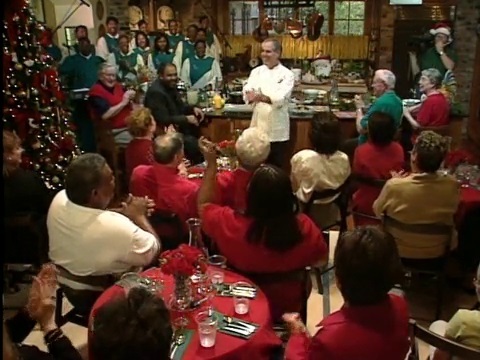 See Chef Folse prepare dishes and share Christmas memories with four special guests: Crawfish Corn Pudding with Lieutenant Governor Melinda Schwegmann; Yam and Praline Pie with jazz clarinetist Pete Fountain; a Cajun Goose with Barbeque Sauce with Beany MacGregor, the executive chef at Planet Hollywood; and Sherry Quail with actress and singer Kathryn Crosby, the widow of Bing Crosby. 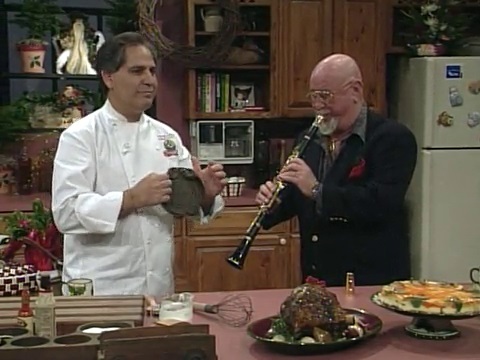 See Chef Folse prepare: a Game Pie with duck, rabbit, and venison; Chicken, Oyster, and Andouille Gumbo; Sweet Farre Dressing; and Greens. 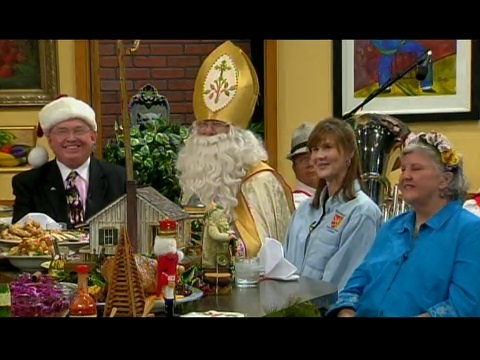 See Chef Folse celebrate a traditional German Christmas. He prepares a traditional German drink called Gluehwein and cooks Red Cabbage and a German Roasted Goose. See Chef Folse cook a Roasted Wild Boar Ham, “Possum and Taters,” and a traditional Christmas Roasted Speckle-bellied Goose. Travel with Ms. Lucy to Lafayette, Natchitoches, Gramercy, and Breaux Bridge, and listen to the Cajun Night Before Christmas. 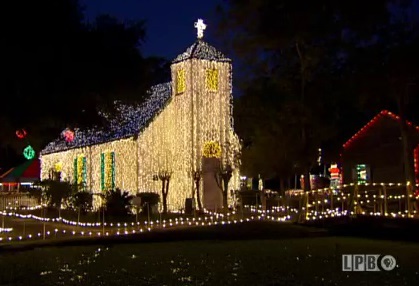 To see more videos about Christmas celebrations from around the state, you can view the entire Christmas in Louisiana topic. 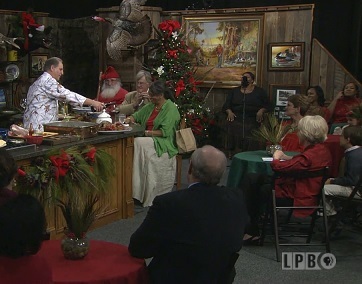 And to see more recipes, check out A Taste of Louisiana with Chef John Folse & Company and Ms. Lucy’s Classic Cajun Culture and Cooking.